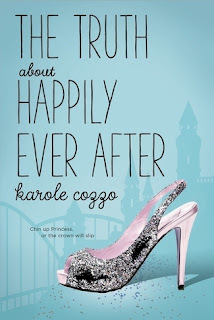 Karole Cozzo is the author of the new young adult novel The Truth About Happily Ever After. She also has written How To Say I Love You Out Loud and How To Keep Rolling After a Fall. She lives in the Philadelphia area. Q: How did you come up with the idea for The Truth About Happily Ever After, and for your character Alyssa? A: The first time I met up with fellow Swoon Reads author Kim Karalius, we met in the Magic Kingdom. We exchanged theme park related interview questions, such as, "If you were to write a book set here, what part of the park would make a great setting?" I started thinking about how a theme park in general was a great setting for a story, and with all those princesses, prince charmings, and villains running around the scene is set for drama. Alyssa was initially NOT a main character. My first version of the story was very different, and my editors did not feel like they could root for the original main characters (Harper and Jake). 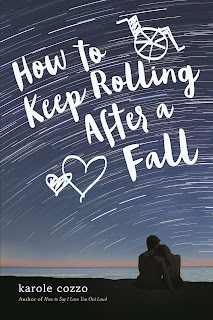 They thought Alyssa and her story was more compelling, so I started from scratch, imagining what her story would be and getting to know her much better. At first I was disappointed to have to start over but by the end I totally agreed with them - I adore this version so much more than the original! A: I'm definitely a planner, and I work from a very detailed outline of the whole story. However, as I get to know my characters, I'll sometimes find myself saying, "He wouldn't do that, he just wouldn't," and I have to go back and rethink some plot elements. 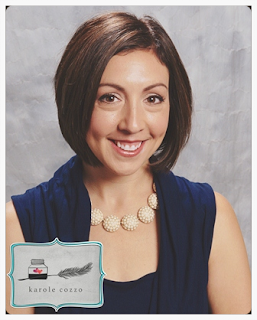 Q: How does your experience working as a school psychologist inform your writing? 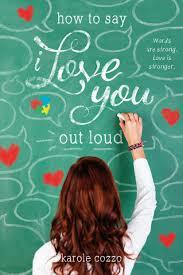 A: Something all of my books have in common, for sure, is that they're character-driven more than plot-driven. I definitely think this is the psychologist in me at work! All of my characters have started out with a lot of growing to do, and my stories are all about how they get to a better place, with the people in their lives and with themselves. And my first two stories in particular are more issue-involved, including characters with disabilities and touching on the topic of cyberbullying, and my experiences as a school psychologist, I hope, add a good amount of authenticity to my stories. Q: Who are some of your favorite YA authors? A: Diana Peterfreund. Katy Upperman. Emery Lord. A: I have a new project on the horizon. I can't say too much about it yet, but 1) it's my first dual POV story and 2) the main character is just about as different from Alyssa as possible! A: The princess I most admire is the live-action version of Cinderella.